Belgium is known to be one of the best places to invest for entrepreneurs and businessmen vastly into the steel industry. This is because over the years, many individuals have come and shaped the industrial backdrop of Belgium. Albert Frere is one of the pioneers in this particular aspect has without doubt.A self-made billionaire, Frere’s life story began on a tough note when he lost his father at the age of 17. His father had been a nail merchant in Belgium and Frere had to drop out of school and dispel any plans of college to start running his father’s business. Through his life, he has been married and is the father of three children. 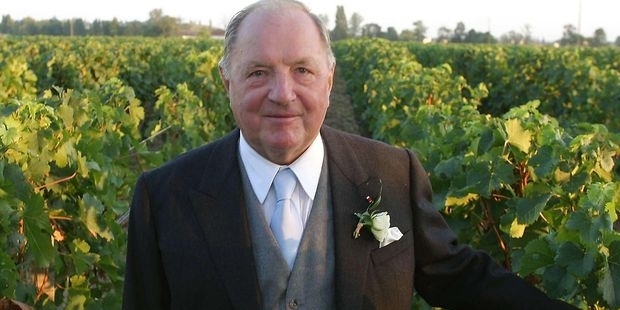 He is also the owner of several wineries around Bordeaux, considered by many to be one of the most legendary places in the world for wine. Running the family business from a young age had given Frere an idea of how to manage assets as well as invest. He was a smart, enterprising businessman and knew about the abundance and potential of the steel industry that was yet to be tapped in Belgium. Frere began investing in the steel industry towards the end of the 1960s with the help of a holding company. By the late 1970s, he had owned nearly most of the steel industry in the industrial town of Charleroi. Frere was aware of an impending steel crisis towards the end of the 1970 and sold off his company’s shares to the state with the help of Cockerill, a competing steel company in the country. The proceeds from the sale that Frere made money from were used to fund his holding company, Pargesa Holdings through which he was able to build his empire during the 80s. He took over the Belgian Holding Company known as Groupe Bruxelles Lambert. With the acquisition of GBL, Frere was able to acquire a whole host of other companies through which he was able to build upon his earlier successes. This included Petrofina, Royale Belge Insurance, Tractebel and CLT to name a few. He made sure that he extended his companies as well as his holdings internationally so that he was able to double up on as well as take his company to the next level. Frere finally decided to sell off all the assets that he had acquired and sold Banque Bruxelles Lambert to the ING Group, Royale Belge to AXA, and Petrofina to SFA as well as his other companies to cash in.